Chemical free cleaning is all the rage these days but some Chemical-free cleaning products are really expensive! Sure, you can try making your own non-toxic cleaning DIY products (which I highly suggest!) but even buying green cleaning supplies at big box stores can break the bank. 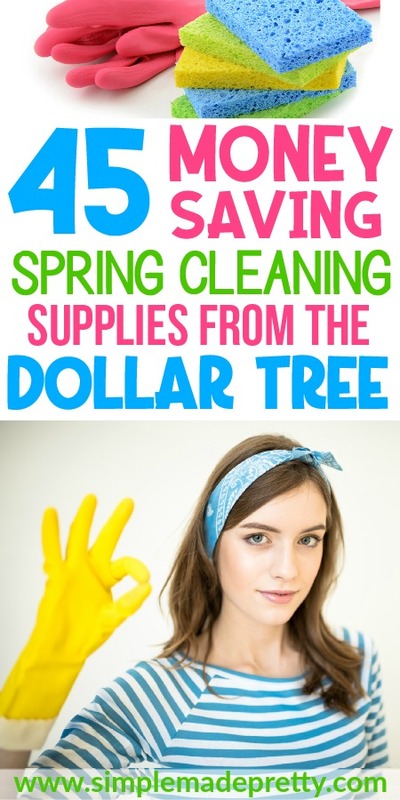 That’s why I put together this list with the Best Cleaning Supplies from the Dollar Tree. 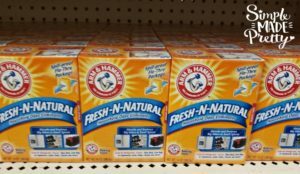 This list contains the best non-toxic cleaning products that I found at my local Dollar Tree. 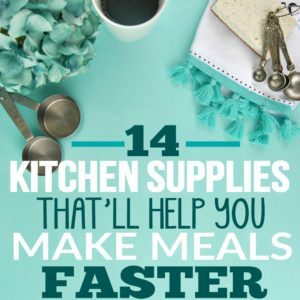 You’d be surprised in the amount of Dollar Store cleaning products and Dollar Store cleaning supplies that are on this list! 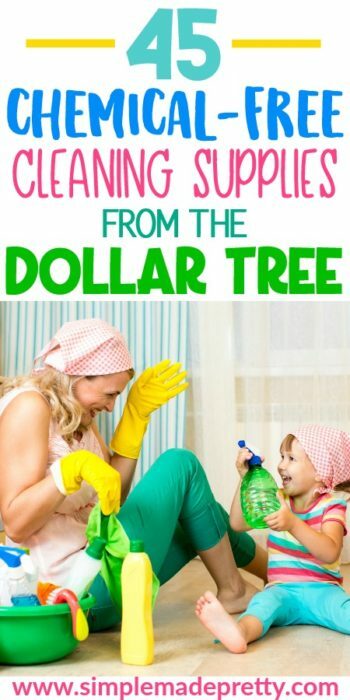 Are Dollar Tree cleaning supplies good? 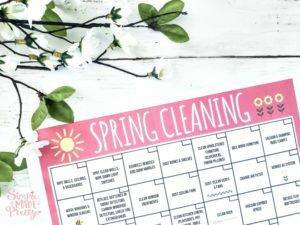 There are questionable cleaning supplies at the Dollar Store… so I had to think outside the box when putting this list with Chemical-free cleaning tips and which Chemical-free cleaning recipes contain ingredients found at the Dollar Tree. 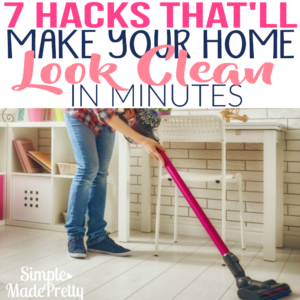 You’ll find links to cleaning hacks, cleaning tips, and cleaning ideas under each item as well! A cleaning bucket can be used to hold and transport all your cleaning supplies and helps with mopping floors and washing out showers and tubs. 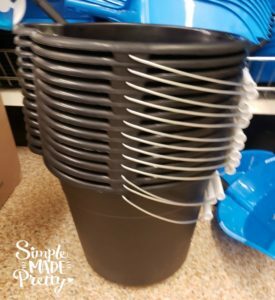 Add a cleaning bucket to your shopping list the next time you are headed to your local Dollar Tree! White Vinegar is used in a variety of DIY homemade cleaning products and is a pantry staple among many other helpful uses. 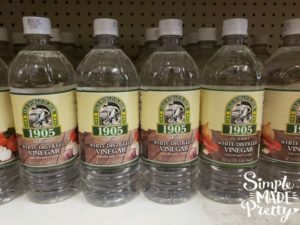 If you don’t have white vinegar in your home or want to reduce the number of chemicals in your home, pick up a bottle of white vinegar from the Dollar Tree. Like white vinegar, baking soda can be used as a natural cleaning substance and is an ingredient in many homemade cleaning product recipes. I recently used white vinegar and baking soda to clean the grout in our tile floors, which made them sparkling white again! –>>See which DIY chemical-free cleaning products use baking soda! Cornstarch is another basic pantry staple that can be used to make your own Green and Chemical-free cleaning products. Lemon juice is high in citric acid and is a great natural cleaner due to the antibacterial properties. 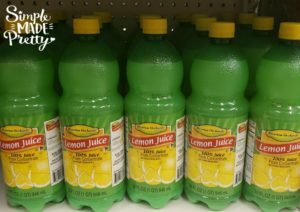 You can find a bottle of Lemon Juice at your local Dollar Tree to mix up natural cleaning concoctions or use alone. If you have Lemon Essential Oils, even better! Make a lemon-lime cleaning solution or use lime juice as a lemon substitute. Limes are also high in citric acid and great for cleaning. Limes also smell great and help drown out the smell of vinegar in homemade cleaning products. I use olive oil to make my own furniture polish and cast-iron pans. Olive oil is a pantry staple and can be used for cooking, skin care, home care, and more. 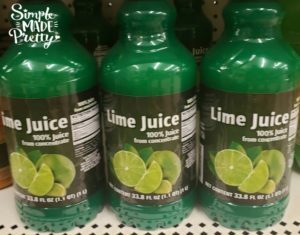 You’ll find this cleaning ingredient in the first-aid section at Dollar Tree. Rubbing Alcohol can be used to make your own cleaning products and it helps dissolve dirt and oils. Coconut oil is one of the 2-ingredients for this DIY goo-gone recipe. 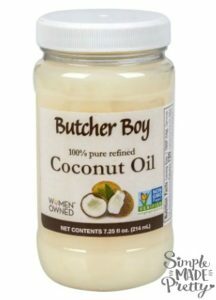 Coconut oil can also be used for DIY skin care products, cooking, and more! Use borax to clean your carpet, toilet, shower, laundry, and more! Refresh your linens with a homemade laundry soap using borax! 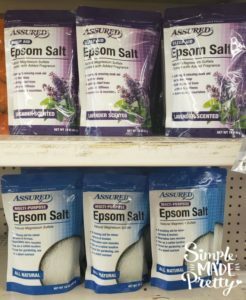 I bet you didn’t know you can use Epsom salts for cleaning (and that the dollar tree sells Epsom salts!). Epsom salts are used primarily for skin care and muscle soothing solutions but Epsom salts can also be used to clean pots and pans and makes a great tile and grout cleaner! 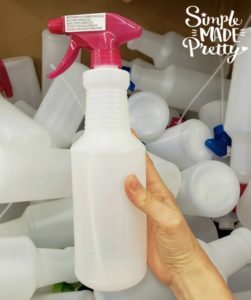 Use the several different empty spray bottles found at the Dollar Tree to make your own cleaning products! 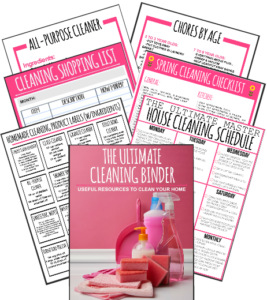 –>>Download the cleaning products and labels in the Ultimate Cleaning Binder! Use paper towels with a DIY homemade stainless steel wipes recipe and this DIY homemade disinfecting wipes recipe! 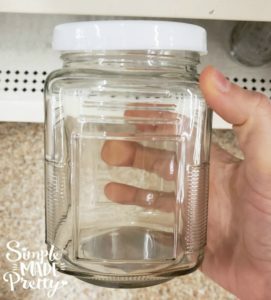 Use glass jars from the Dollar Tree to store homemade laundry detergent, homemade disinfecting wipes, DIY stainless steel wipes, and other homemade cleaning solutions. The microfiber cloths at Dollar Tree are perfect to use as rags to clean your entire home! Use them to wipe down the surface with a DIY all-purpose lemon-lime vinegar cleaner or as a dry dusting cloth! The Dollar Tree has microfiber dusting wand for hard to reach spaces, the top of the fridge, or the ceiling fans in your home. 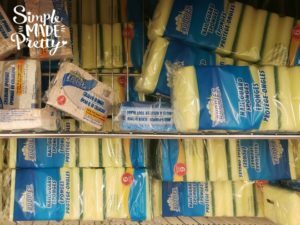 Sponges are a cleaning staple and the Dollar Tree has several sponges to choose from depending on the item you need to clean. 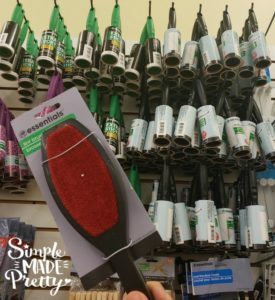 The Dollar Tree has scrubbing brushes to help scrub tile, grout, and more when cleaning your home! I use toothbrushes from the dollar tree when I need to clean tiny spaces (like grout) in my home. 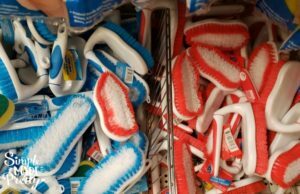 You can get a package of 3 toothbrushes from the Dollar Tree and use them specifically for cleaning. 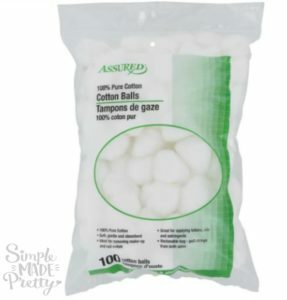 Cotton swabs (or Q0tips) are not just for cleaning out your ears. You can use them to clean your keyboard, remove lint from a hairdryer, detail your car, and more! Use cotton balls with a drop of essential oils and place in drawers as a natural scent booster. Soak a cotton ball in rubbing alcohol and dab on ink stained clothes to remove stains. Clean dishes with a dish brush from the Dollar Tree to save money! The Dollar Tree has a variety of dishwashing brushes and sponges specifically for cleaning dishes. If you don’t have a dishwashing machine in your home, a dish drying rack from the Dollar Tree will help you keep dirty dishes separated from the clean ones while drying your clean dishes. 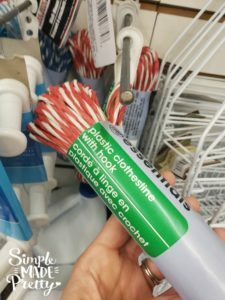 Toilet cleaning brushes can cost $5 or more at Target or Walmart so save yourself some money by buying a toilet bowl brush from the Dollar Tree! A squeegee is good to have to clean shower doors, shower walls, windows, and more in your home. 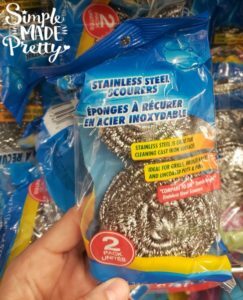 Use the stainless steel pads from the Dollar Tree to clean pots and pans, clean grills, removes rust, and more! A broom is a cleaning staple that can be used to clean the inside and outside of the home. 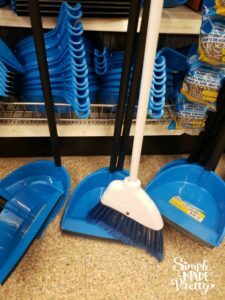 Consider shopping at Dollar Tree for a broom the next time you need one! If you use a broom, a dustpan is necessary. Some brooms come with a dustpan but the Dollar Tree sells brooms and dustpans separately. 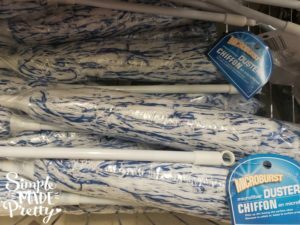 The Dollar Tree has a couple of different types of mops and mop refills, depending on what you are looking for. There is a traditional string mop, a sponge mop, and refill wipes for Swiffer mops. If you are trying to be as green as possible, the string mop is probably the best option at the Dollar Tree. 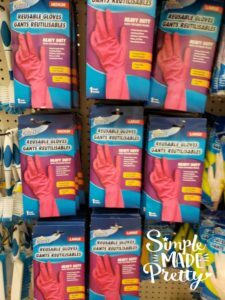 Reusable gloves protect your hands while cleaning and the Dollar Tree sells several different kinds of reusable gloves. Use Dollar Tree Lint Brushes or Lint Brush rollers to clean linens. Whoever invented trash bags is a genius…because you’re spending money on something to end up throwing it away. Crazy right? 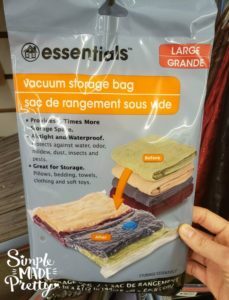 Spend less money on trash bags by buying them for a dollar from the Dollar Tree! 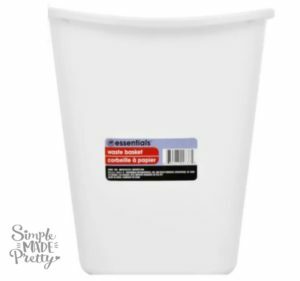 The Dollar tree sells small trash cans to use in any room in your home! The laundry baskets are a good size and surprisingly held up very well. 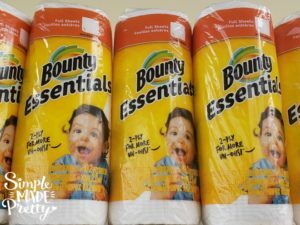 We use the Dollar Tree baskets in our guest house and I’ve seen several hacks to update Dollar Tree laundry baskets that I would love to try! 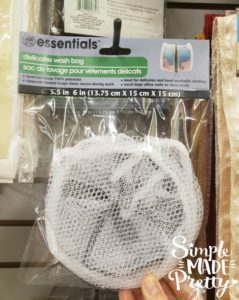 The mesh laundry bags are the Dollar Tree will help keep your delicates safe in machine washing machines and they only cost $1! There are many other uses for mesh laundry bags, including washing kids toys, storing small items, and even using as a reusable produce bag! 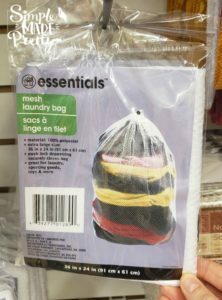 The Dollar Tree has small and large mesh bags for your convenience! 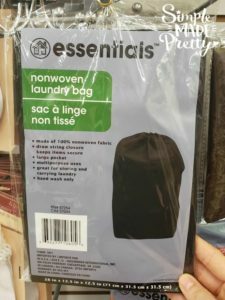 The laundry Bags at the Dollar Tree are perfect to throw in a suitcase and use while on vacation to throw dirty clothes in. They are also good for everyday laundry use or college students! Cleaning your clothes and line drying your clean clothes can save you money on your electric bill. If you live in a warm climate or the weather is nice, hang a clothesline outside (or even inside in your shower or laundry room) to dry clean clothes. 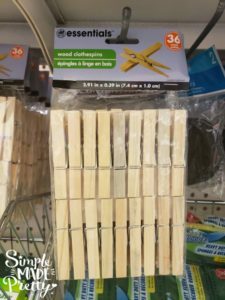 The Dollar Tree has wooden clothes pins to hang clean clothes to dry. Hang clean clothes in closets using clothes hangers from the Dollar Tree. 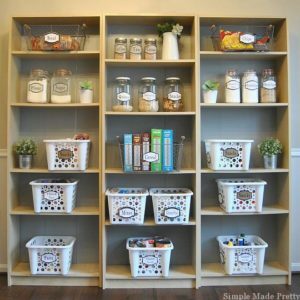 Get clean and tidy by organizing every room in your home with Dollar Tree plastic baskets and bins. 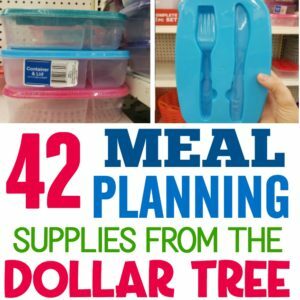 The Dollar Tree has many drawer organizers to help clean and tidy your space. Use Dollar Tree drawer organizers to organize your underwear drawer, silverware drawer, office supplies, toys, and more! 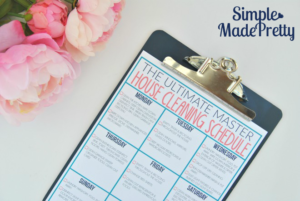 Need some help cleaning off your desk in your home office? 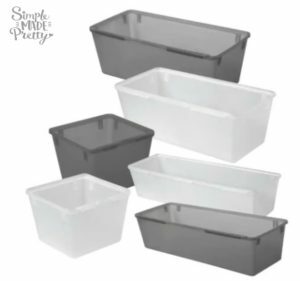 Head to the Dollar Tree and grab some file boxes, binders, file organizers, and more to clean and organize your home office! –>>Check out these Dollar Tree home office organizers! 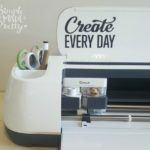 Make a cleaning binder using Dollar Store supplies! 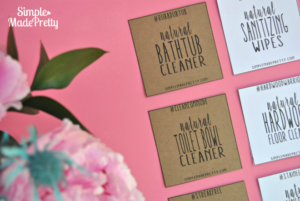 Grab a binder and binder tabs from the Dollar Tree and print the Ultimate Cleaning Binder for the ultimate cleaning resource! If you are a little crafty, you can make a cleaning apron using Dollar Store supplies! Directions: Sew the middle of the ribbon to the vertical end of the dish towel. Wrap the ribbon around your waist. 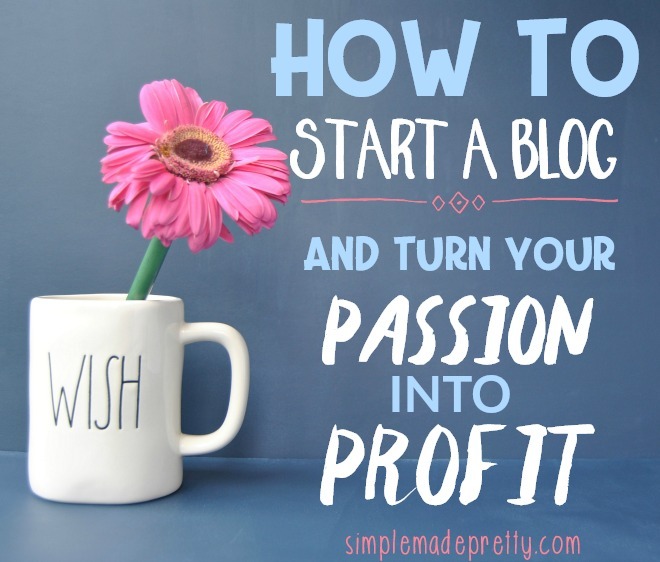 –>>Find a full tutorial at Fynes Designs! If you don’t sew, you can just wrap a dish towel (or tie 2 together) around your waist. A cleaning apron will help keep your clothes clean and is handy when you need to wipe something or clean something with the apron itself! –>>You can also sew pockets on your cleaning apron as HomeTalk did! 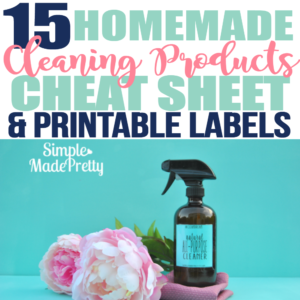 I hope you found these Chemical free cleaning DIY ideas useful and think outside the box when it comes to shopping the Dollar Tree for cleaning supplies while also using healthy, green cleaning supplies. Don’t forget to check out these Chemical free cleaning recipes! Several DIY non-toxic cleaning recipes contain household staples like baking soda and White vinegar, while others contain essential oils (like Young Living). 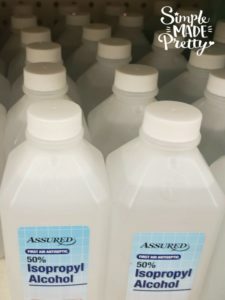 I hope these Dollar Tree cleaning hacks help reduce the chemicals in your home while saving you some money on cleaning supplies! 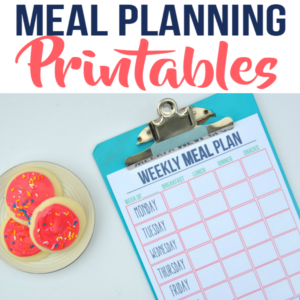 –>>Grab the printables here to create an easy to follow home cleaning schedule for your family!